Italian premium brand of bikes, Ducati, recently launched the Ducati Monster 821 in India. The Monster 821 is the latest naked street-bike from Ducati which features an all-new paint theme. 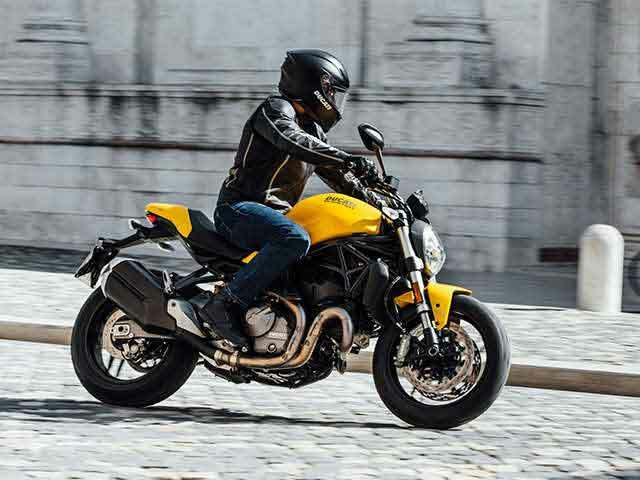 Ducati Monster 821 has an introductory price of Rs. 9.51 lakh (ex-showroom, India). The booking for the new Monster 821 is now open across all Ducati dealerships in Delhi – NCR, Mumbai, Pune, Ahmedabad, Bengaluru, Kochi & Kolkata. However, the deliveries will start by the first week of June. The 821 gets mechanical updates over the earlier version. This includes a completely redesigned fuel tank and tail, new headlight and an all-new exhaust. The bike also comes with new color TFT display with the current gear and fuel level indicators. 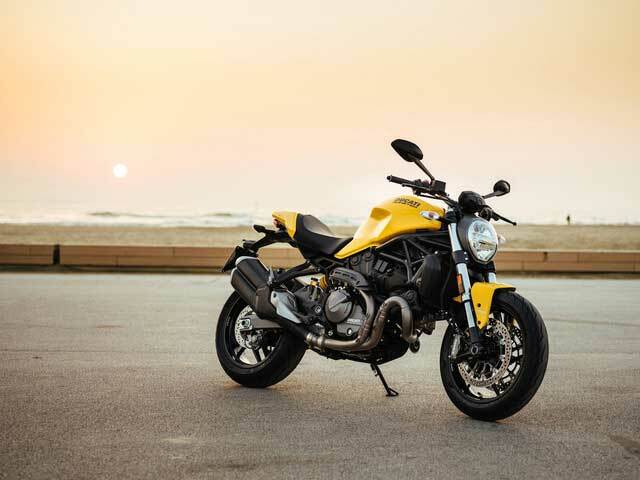 Ducati Monster 821 also gets styling updates over the standard version, which gives the 821 a new yellow paint theme. The bike will also be available in two other color options viz. Ducati Red and Black. The Monster 821 gets its power from the euro-4 compliant, liquid-cooled, Testastretta 11° engine which delivers a maximum power of 109 hp (80 kW) at 9250 rpm. The Monster 821 also has the Ducati Safety Pack which includes Bosch 9.1MP ABS system and Ducati Traction Control. Both of these offer adjustable intervention levels. Similarly, you can also adjust the maximum power and throttle response thru’ the Power Modes. The bike also comes with optional Ducati Quick Shift (DQS) which is Ducati's reference for the quick-shifter. The other notable features of the Monster 821 include the Brembo brakes, dual 320 mm discs and M4-32 monobloc radial calipers at the front. A refined suspension system includes a 43 mm USD fork at the front and mono-shock with spring preload adjustment at rear. The new Monster 821 offers a Pirelli Diablo Rosso III 120/70 tire on the front and 180/55 tire on the rear. Exhaust 2-1 system, Stainless steel muffler with an aluminum end cap. Front wheel 10-spoke light alloy, 3.5" x 17"
Rear wheel 10-spoke light alloy, 5.50" x 17"